Editorials from Theslowlane: Should Lake Whatcom Connector road be built into the watershed? Should Lake Whatcom Connector road be built into the watershed? How about a bicycle path? To build, or not to build Lake Whatcom Connector between Lake Louise Road and Yew Street. How about making it a bicycle path only? I first read about this proposed road in a mailing sent out by Pro Whatcom, a group that basically wants to put the lid on growth. On the other hand, building a new road doesn't sound totally bad for me. I am a bicyclist and I refuse to even go out South Shore Drive because it is too busy and narrow. It would be good to encourage more Sudden Valley residents to bike, but the current road situation, out that way, is awful. Maybe the new road would improve that with wider shoulders, but it would also heat up concerns about enabling growth in the Lake Whatcom watershed. Less costly than building a road, how about just building it as a bike path? A cinder path, similar to Bellingham's South Bay Trail means less impervious surface. 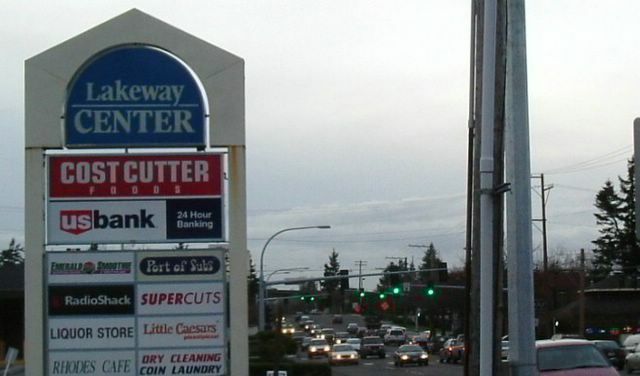 Not building a new car road would address some of the anti growth watershed concerns. At the same time, building it as a bike path could encourage bicycling rather than driving. Ironically a new road with good shoulders could encourage bicycling also, but making it a bike path would also address the issue of restricting growth in the watershed. Autos may be the worse polluters of watersheds. 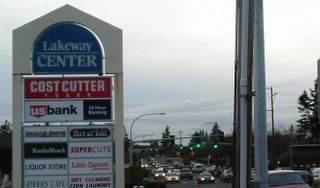 Traffic thundering out Lakeway Drive in Bellingham. Much of it headed to Lake Whatcom area. Today's Herald reported that county council decided to drop the new Lake Whatcom Connector from its plans. Too costly to build, now estimated at around $18 million plus it does go into the watershed. Basically, the easiest out is to do nothing. No new road, just let traffic pile up on old road and save $18 million in taxpayer money. People shouldn't be moving to the Lake Whatcom area anyway. February 1 Bellingham Herald editorial mentions that there are plans to add shoulders, and improve, exisiting Lake Louise Road. This slight improvement, rather than building a whole new highway, would hept take some traffic off South Shore Drive which is too close to the lake water. The shoulders may help bicycles also if and when these improvements are made.